We have completed many projects over the years for Hill Partnerships, the most recent being Zenith House, a high rise urban regeneration development. Our innovative value-engineering approach helped to reduce installation costs by utilising the buildings boosted cold water supply. This pioneering approach provides improved system reliability as the sprinkler system is constantly monitored, any faults would be reported almost instantly. During the design process, we strove to ensure the sprinkler heads worked with the lighting scheme, often having several iterations to ensure the completed products are aesthetically pleasing and sympathetic to the ceiling design. 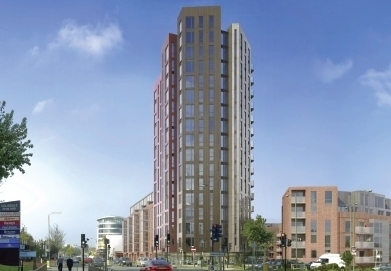 Fire sprinkler protection was provided to the feature 16 storey tower. We also supplied and installed dry risers into all 9 blocks of the development.